Menopause and Diabetes: How Does Menopause Affect Diabetes? If like me you are “blessed” with the double whammy of menopause and type 2 diabetes you might wonder if one of the conditions might affect the other. Studies show that hormonal activity can indeed affect blood glucose levels making it even harder than usual to maintain good control. Fundamentally, at a time of your life when you might be plagued with menopausal symptoms like hot flashes, mood swings, disturbed sleep and all the emotions linked with the end of your fertile period of life, you might also have to deal with haywire blood sugars, and all that entails. It’s tempting to blame menopause and/or diabetes for all sorts of ailments and issues, so let’s break down exactly how menopause could be affecting the management of diabetes. The hormones estrogen and progesterone affect how the cells in your body respond to insulin. In perimenopause and menopause, changes in your hormone levels can trigger fluctuations in your blood sugar level so you may notice that your blood sugar level is less predictable than before. This means that even if your diabetes diagnosis was years ago and you have got used to certain levels of exercise and certain amounts/types of foods being OK keeping your blood sugars at acceptable levels, you may now have to go back to monitoring more frequently and to be more careful. Higher blood sugar can mean you may suffer more urinary tract and vaginal infections. This is due to lower estrogen levels which allow bacteria and yeast to thrive in those areas, so it’s wise to keep a close eye on blood glucose to avoid that and the risk of other diabetes-related complications. You can buy over-the-counter medications in cream, pessary and tablet form to banish both vaginal and urinary tract infections. However, if it’s the first time you’ve ever developed an infection like this, you are over the age of 60, the over-the-counter treatment doesn’t wholly work, or you have more than two infections in six months, it’s important to go and consult a doctor. There is some debate as to whether weight gain in menopause is a recognized side effect or a coincidence given that the time many women enter menopause is also the time they may adopt a more sedentary lifestyle for one reason or another. Whatever the cause of the pounds piling on, it pays to realize that weight gain can have a negative effect on blood sugars. Proper management of diabetes and general health is often linked to staying with recommended Body Mass Index (BMI) guidelines so if you notice even a small weight gain it’s best to tackle it before it gets out of hand. Check portion sizes and watch out for snacking in between meals. It can be a good thing to eat little and often to keep blood glucose steady but snacking on chips, cookies, and cake in between your solid three meals a day is not. Maybe boredom is the issue – many mothers find the transition from full-time diaper-changing, being a soccer mom to empty nester very tricky – and food can fill the gaps. Also, working women may have taken their foot off the pedal career-wise and instead of trying to break the glass ceiling are cultivating a drawer of shame in their office desk, packed with sugary treats for when that 3 pm slump hits. Make sure you are getting regular exercise, even if that just is taking the steps instead of the elevator or walking from the far side of the mall car park instead of parking by the door every now and again. Issues with sleep are well documented during perimenopause and menopause. If it’s not hot flashes or excessive sweating, it’s restless legs or maybe anxiety that is keeping you awake or waking you up. This sleep deprivation can play havoc with your mood and your blood sugars, so it’s important to tackle issues before they lead to diabetes-related complications or depression. Many people swear by herbal or homeopathic supplements and remedies. Herbal teas including chamomile, jasmine or lavender which help relax the body and mind and may help you to drop off, especially if you replace evening caffeine drinks with these or other caffeine-free options. There are also herbal remedies to help with night sweats if these are at the root of your sleep problem. Sage is believed to re-balances the sweat-regulating mechanism in your brain. Just be aware herbal and homeopathic remedies may be natural but they can still interact negatively with other medications or be unsuitable for some people so always check with your healthcare provider before adding or substituting these remedies into your routine. Other simple fixes include upping exercise levels – maybe try a walk after dinner instead of slumping in front of a screen? You will hopefully tire yourself out and avoid screen-related insomnia. Check you are sleeping in natural fabrics – nightwear and bedding should be cotton-based or made from another natural fabric. Try treating yourself to a quiet fan with a remote control so you can cool off quickly in a hot flash and maybe look at adding a white noise app to your mobile phone which can help with getting to sleep quickly after being disturbed in the night. If all else fails, get up and read a book or do the washing up or even paint your nails rather than lie in bed desperately trying to get back to sleep. You may find after a short distraction you begin to feel naturally tired again. 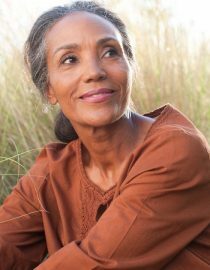 Many women find all of their menopause-related issues are relieved by hormone replacement therapy (HRT). There are many different kinds available today from tablets to patches with a variety of ingredients so speak to your doctor about which might work for you. After all with diabetes, it is more important than ever to keep those hormones and your blood glucose levels as stable as possible.